Hello and Happy Autumn to you! I come to you from the damp depths of October, barrelling fast down its flood waters into the chilly chasm of November's dark embrace. It's been raining a lot, but when the rain stops for a minute you can look around and see the many pretty orange and red and brown leaves all falling from the trees into crunchy/mushy piles. The squirrels are busy squirrelling away nuts and the crows all seem to be up to something... so it's about time we all retreated indoors where the hot chocolate is only 2 mins in the microwave away, the heating is on, the fluffy socks have been dug out from the back of the drawer and a fine stack of Autumnal Reads awaits! I may be a little delirious from the v bad cold I currently have, but I'm not letting that hamper my efforts to recommend some cosy reading choices. And with the clocks going back you might as well use your extra hour in bed to enjoy some cosy reading time! Bonfire is the first novel by Krysten Ritter, star of such excellent television shows as The B in Apartment 33 and Jessica Jones. 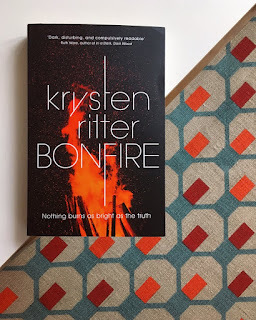 This story takes place in the small town of our protagonist Abby Williams' childhood, where a 10 year old mystery disappearance has plagued the minds of every townsperson. Back as a grown up and a lawyer investigating the potential water pollution of the local massive plastics firm, Abby digs up both the town's and her own past. This gripping thriller is perfect to keep you curled up where it's safe and warm indoors. The End We Start From is the first book by Megan Hunter. 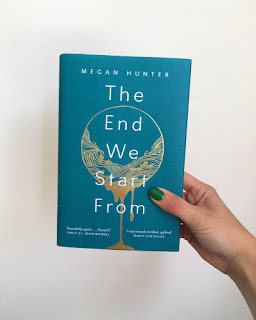 Indulge those dooms day thoughts with this apocalyptic novella, sparsely written but somehow with such a vivid sense of place and emotion. It's a fairly intense read, but perfect for reading in one sitting while avoiding the howling winds of autumn. 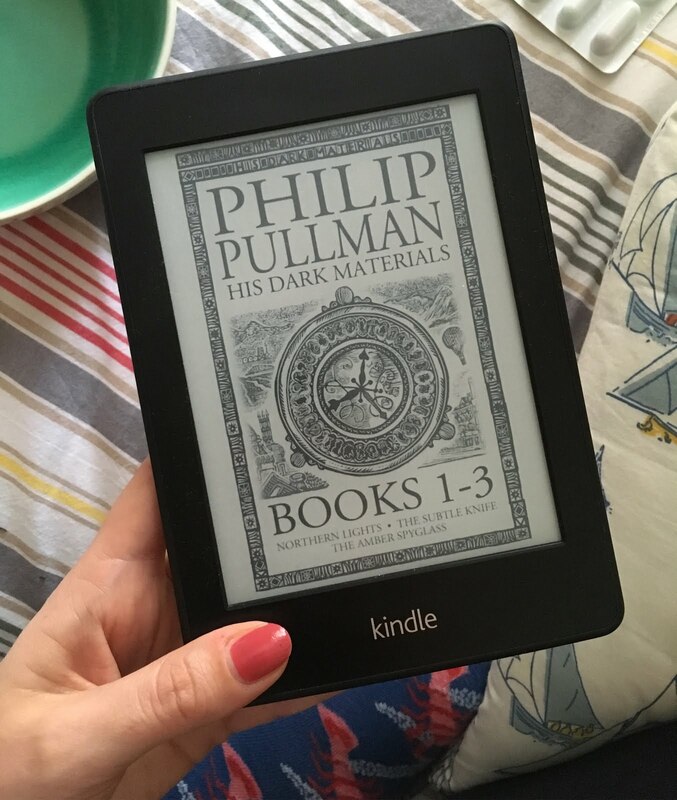 His Dark Materials is the wonderful series by Phillip Pullman. Shroud yourself in the comfort and magnificence of this wonderful world, or should I say multiple worlds. Yes I should. I've been rereading the series in preparation for the return of Lyra's Oxford in the new The Book of Dust series. I've got my copy of part one, La Belle Sauvage, now but thank the actual lord I decided to reread the others as I had entirely forgotten almost everything. To be fair to myself The Amber Spyglass did get published when I was 10, and I have a signed first edition of it, so odds are that was when I last read it! 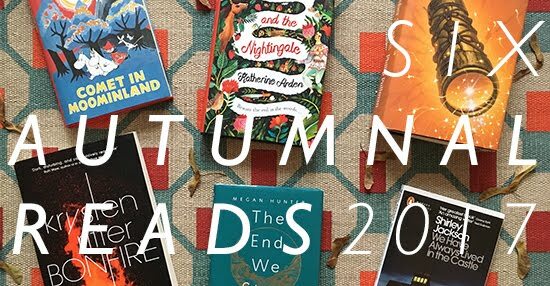 I really recommend making this series part of your autumnal reading line up. The Bear and the Nightingale by Katherine Arden is probably more wintery than autumnal given that it is set in winter in the Russian wilderness. 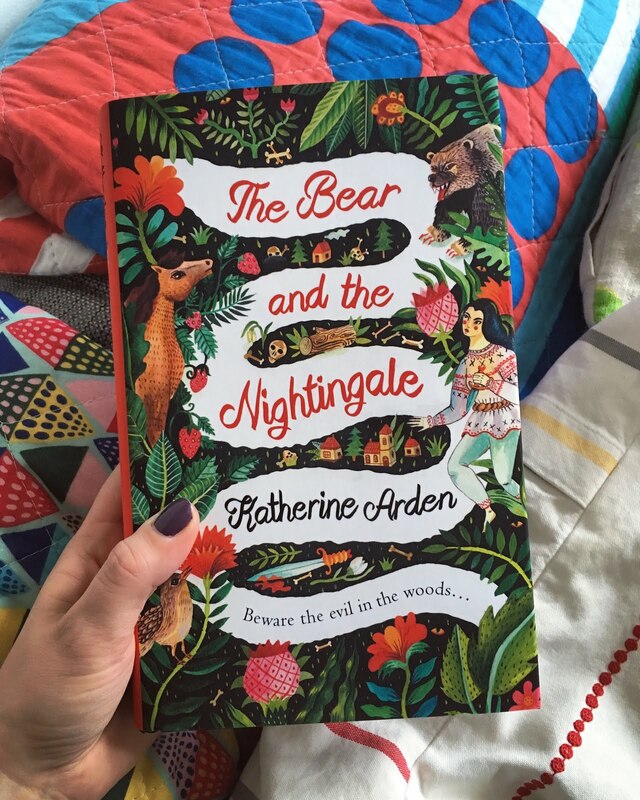 There's plenty of exploration in the forest, horse whispering, rubbish step mothers, and most importantly magic and folk tales. Maybe save this one for the autumn to winter transitional period. Best served under blanket with mug of hot chocolate. 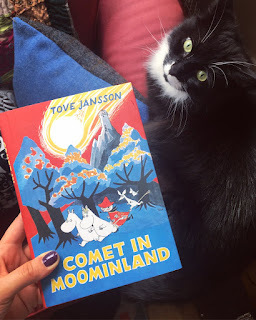 Comet in Moomimland is a wonderful moomin adventure story by Tove Jansson. With a comet headed for Moominvalley, much adventure and excitement ensues. I have a lovely new Sort Of Books collectors edition which has the original 1950s/60s cover designs. There are a few new editions which you can gaze at admiringly in between reading! I'm hoping to get my mitts on all of them. We Have Always Lived in the Castle by Shirley Jackson is a very creepy novella about sisters living in the big house outside of a small town. Their whole family was poisoned to death over dinner several years ago, and the sisters have continued living in the family house, hiding from the gossip and hostility of the people in town. 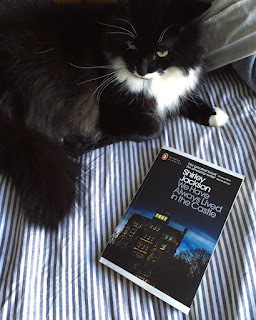 It is so strange and creepy and brilliant and includes a 10/10 cat character. Read this one in candle light with cat on lap or curled up nearby.